Solo piano in a musical journey with rich, complex harmonies in a wide variety of tempos and styles. 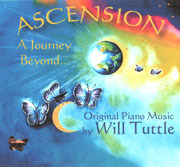 Will Tuttle's first CD album. A highly-acclaimed musical adventure based on an inner journey motif. 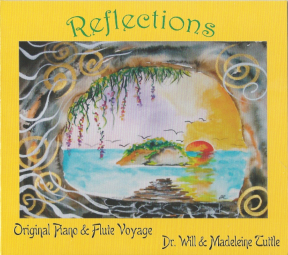 This uplifting album of all-original music beckons the listener with memorable melodies woven upon flowing harmonies. Musically and conceptually, The Call is a landmark album. 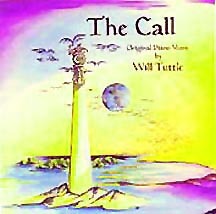 Opening the "Call" trilogy, it celebrates the power of natural acoustic instrumental music to evoke deep feelings and a sense of wonder and adventure. 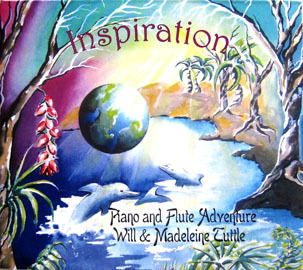 With pieces played in all seven keys, Tuttle's original poems and art by Swiss visionary artist Madeleine, The Call integrates meaning on several levels. Many discoveries await on this many-layered experience. All Albums are also available on iTunes, GooglePlay, etc.